Please give us a call at 281-855-3546 or send an email via the contact form. A visit and tour will help us get to know you and your child – their challenges and their strengths. And give you an opportunity to see the heart of ECS – accepting, respectful, loving. The first page of the application is a checklist which provides a detailed look at the entire process, including documentation and testing requirements. Scroll down for complete details, including links to the required documents. In the Family Interview we’ll talk more about the needs of your child and whether Elim is the right fit. In collaboration with you, we’ll begin to work on personalized spiritual, academic, social, emotional and physical goals for your child. If we believe that Elim is a good fit for your family, we’ll finalize your student’s annual goals (PEP), sign a contract and get started! After contacting us, download the application and teacher evaluation forms. The first page of the application is a checklist which provides a detailed look at the entire process, including documentation and testing requirements. When your application is complete and you have gathered your supplemental documents, please send them to us via email, mail or direct upload (requires a Google account). A limited amount of need based tuition assistance is available each year. The application process is handled through TADS; for which they do charge a small fee. TADS recommends you first use the worksheet to help you gather the information needed for the application. For more great information, such as our Parent Student Handbook, Dress Code and School Calendars, please visit the Current Families page. 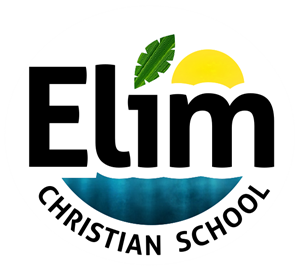 Elim Christian School is open to any students of families that are interested in securing a Christian education. The school must find the student qualified for admission, and both student and parents shall agree to abide by Elim Christian School rules. Attendance at ECS is a privilege, not a right, and can be forfeited by any student and/or parent who does not conform to the school’s standards of conduct and/or who is unwilling to adjust to our environment. Students and parents agree to be courteous and respectful to their peers, staff, faculty and anyone on campus. Elim Christian School admits students of any race, nationality, ethnic origin, gender, age, or disability to all the rights, privileges, programs, and activities generally accorded or made available to students at the school. It does not discriminate on the basis of race, color, national and ethnic origin in admissions policies, scholarship and loan programs, and athletic and other school-administered programs. Elim Christian School reserves the right to select students on the basis of academic performance, religious commitment, lifestyle choices, and personal qualifications, including a willingness to cooperate with Elim Christian School administration and to abide by its policies.